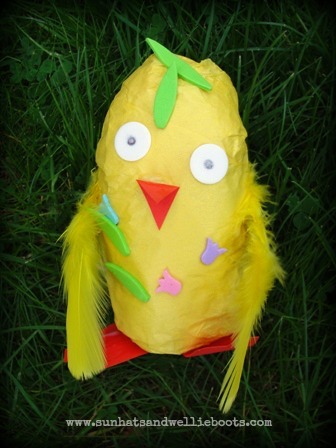 This chirpy little chick was made from almost all recycled materials, & was so quick to make. 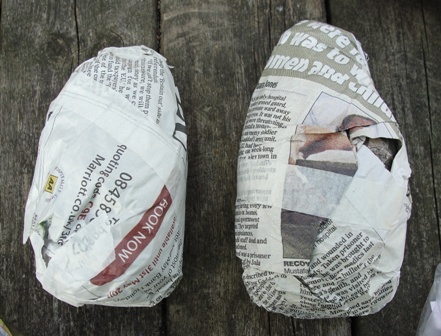 1) Scrunch a sheet of newspaper into a rough egg shape. 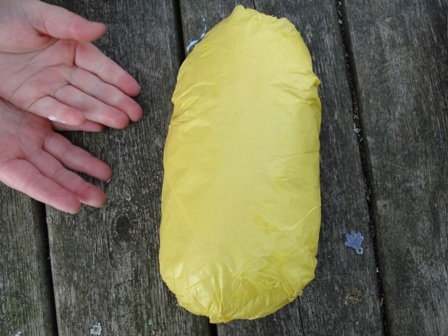 Wrap another sheet of newspaper around it (as if wrapping a present) & repeat with another sheet. 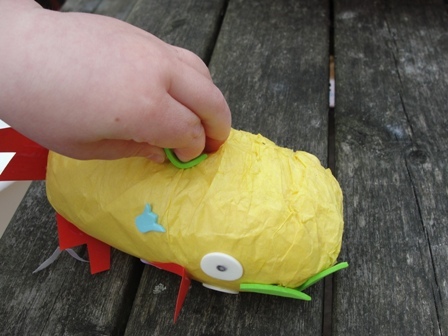 Secure any edges with sticky tape. 3) To make the eyes draw 2 black circles onto the white circles & glue onto the chick. 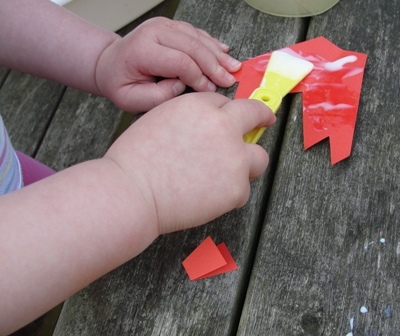 4) Fold the orange card in half & cut out a triangle shape to make the beak. 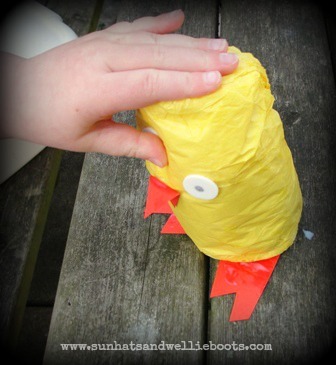 Glue onto the chick. Using the same card cut out the feet & attach to the chick. 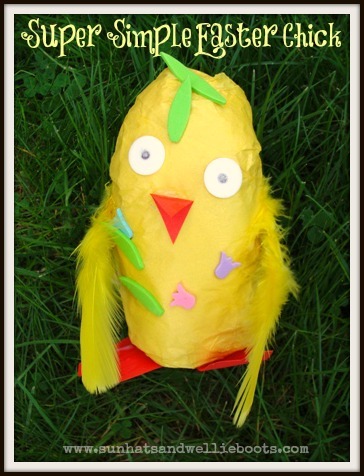 5) Decorate your chick with the foam stickers & feathers (or any other decorations) until your little Spring chick is ready to go! 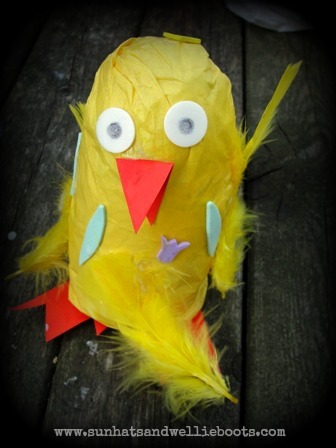 Perfect for decorating the dinner table for Easter, or to take with you on an Easter Egg Hunt!